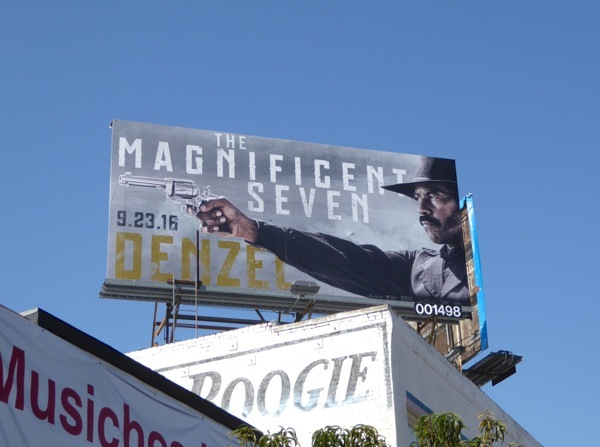 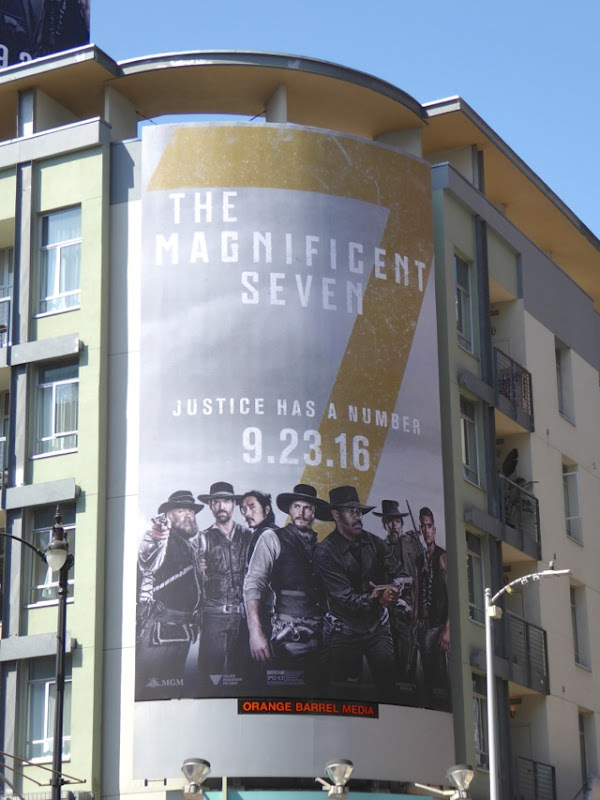 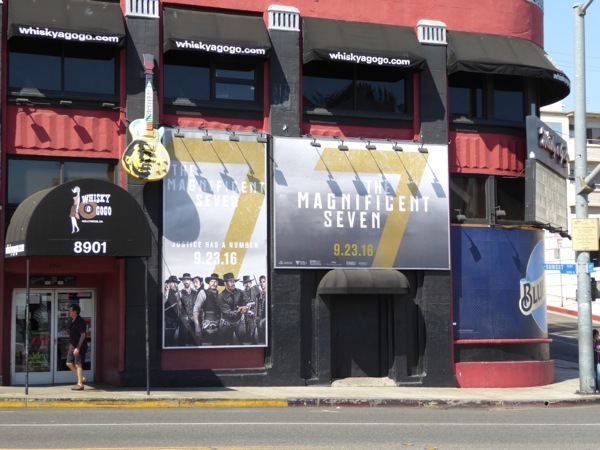 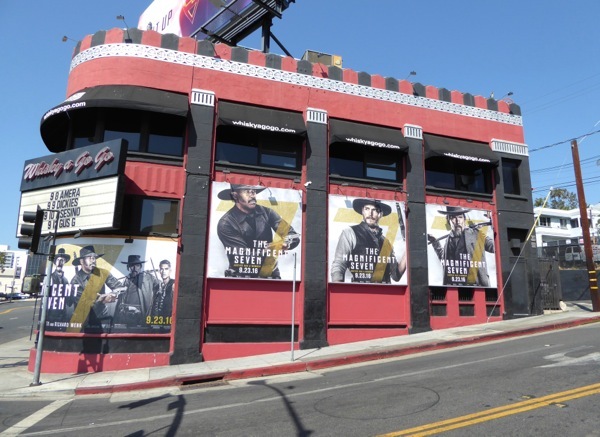 Just when you thought the skies were filled with nothing but Fall season TV billboards, here are some new movie billboards for The Magnificent Seven remake to prove you wrong. 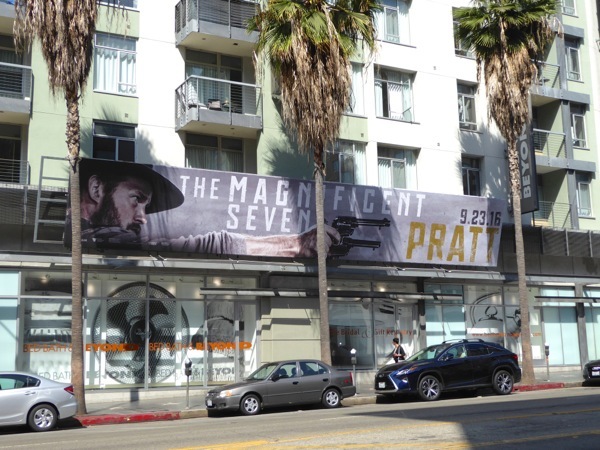 Chris Pratt and Denzel Washington headline in the remake of the iconic 1960 Western starring Steve McQueen and Yul Brynner (which was itself an American version of Akira Kurosawa's 1956 classic Seven Samurai film). 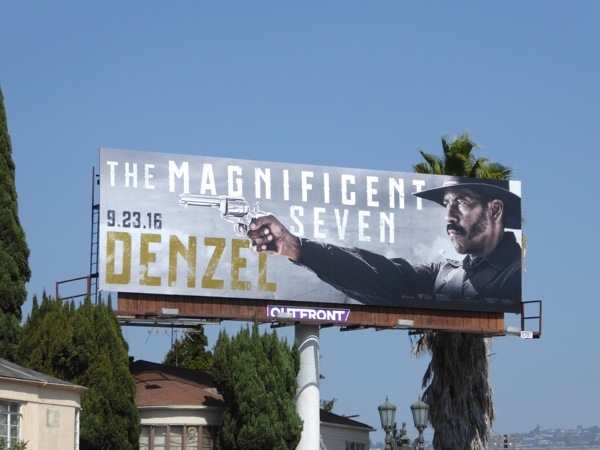 In director Antoine Fuqua's 2016 reimagined tale, an eclectic bunch of outlaws, bounty hunters, gamblers and hired guns, led by Washington's strong and silent 'Sam Chisolm', defend a vulnerable outpost town from an aggressive industrialist and his band of ruffians. 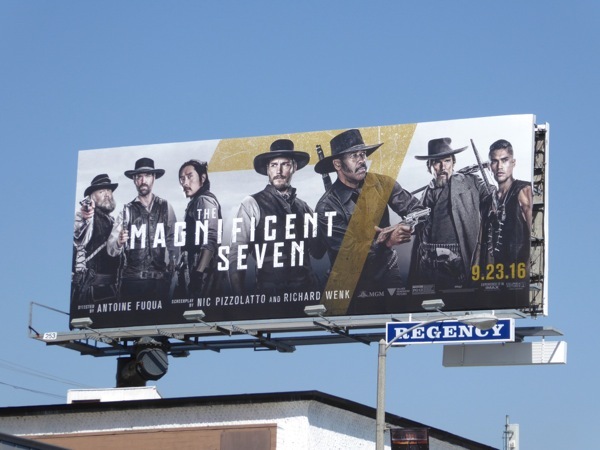 Also saddling up for the ride as part of The Magnificent Seven are Ethan Hawke, Vincent D'Onofrio, Byung-hun Lee, Manuel Garcia-Rulfo and Martin Sensmeier, a mix of sharpshooters, trackers, assassins and Comanche warriors. 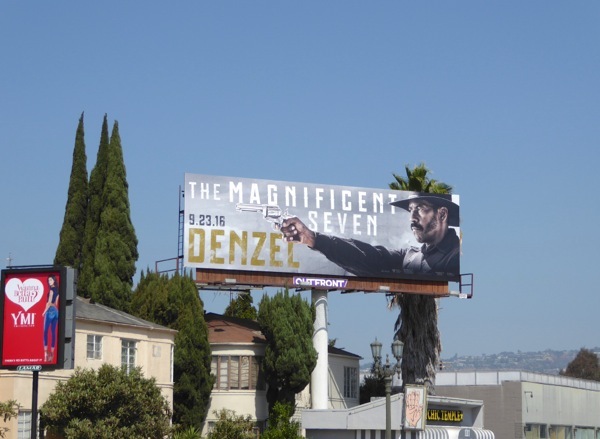 Denzel Washington's admirers can also check out these Flight movie billboards, these 2 Guns movie billboards and these Safe House film billboards. 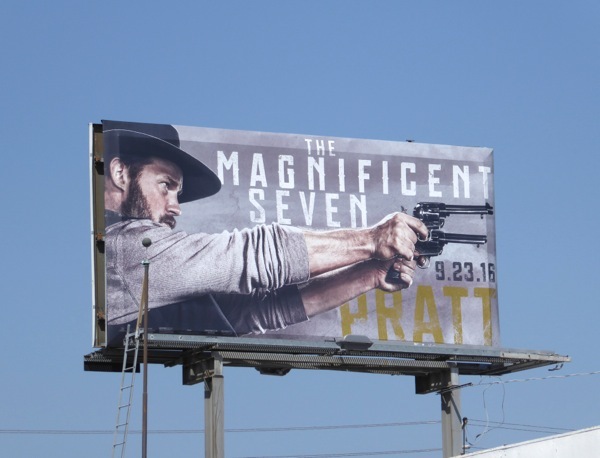 Meanwhile you can see more of Chris Pratt in these Guardians of the Galaxy movie billboards and these Jurassic World movie billboards. 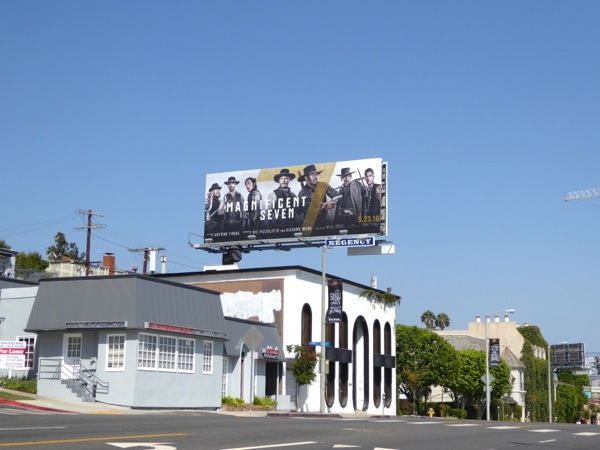 Fans of Westerns can also enjoy these movie billboards for The Lone Ranger, the movie billboards for A Million Ways to Die in the West and these Hell on Wheels TV billboards. 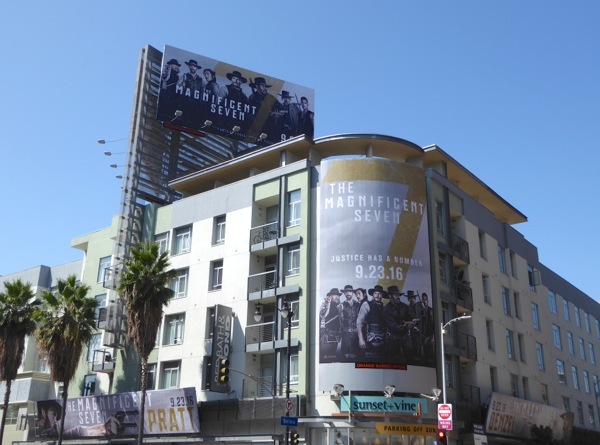 Only time will tell if audiences will mosey along to cinemas to watch yet another Hollywood remake and whether the love of Westerns is still alive and well on the big screen.